Not all building owners decide to pursue LEED certification. But the LEED rating system virtually guarantees that the very best environmental practices are being followed. In 2013, a new version of the rating system called LEED v4 will be approved. USGBC will keep LEED 2009 available for three more years, but project teams can move to the new version of LEED during that period. LEED v4 focuses on increasing technical stringency from past versions and developing new requirements for project types such as data centers, warehouses & distribution centers, hotels/motels, existing schools, existing retail, and mid-rise residential. The credit requirement changes in the proposed LEED v4 rating system are the most extensive in LEED’s twelve-year history. Retail-specific requirements will be added, including the energy and refrigerant credits. 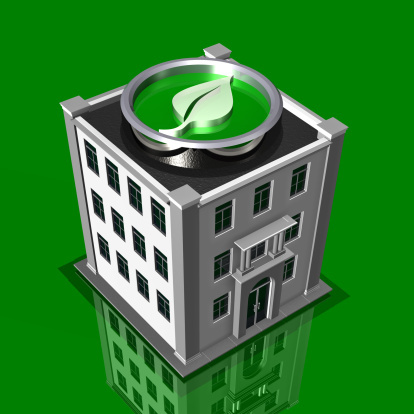 The Minimum Energy Performance prerequisite will be updated to reference to ASHRAE 90.1-2010. Retail-specific process load requirements will be added including refrigeration equipment, cooking and food preparation, clothes washing, and other major support appliances. Many industry standard baseline conditions for commercial kitchen equipment and refrigeration will be defined, meaning that no additional documentation is necessary to substantiate these predefined baseline systems as industry standard. For appliances and equipment not covered in the baseline measures, LEED project teams must indicate hourly energy use for proposed and budget equipment, along with estimated daily use hours. ENERGY STAR ratings and evaluations are a valid basis for performing this calculation. For hard-wired refrigeration loads, team must model the effect of energy performance improvements with a simulation program designed to account for refrigeration equipment. LEED v4 will also make changes to the Enhanced Refrigerant Management credit. 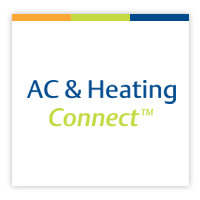 Stores with commercial refrigeration systems must select equipment with an average HFC refrigerant charge of no more than 1.75 pounds of refrigerant per 1,000 Btu/h total evaporator cooling load. Store must also demonstrate a predicted store-wide annual refrigerant emissions rate of no more than 15% and conduct leak testing using the procedures in GreenChill’s best practices guideline for leak tightness at installation. The LEED® Green Building Rating System is a voluntary, consensus-based, market-driven building rating system based on existing proven technology. It defines and promotes green designs, and rewards organizations that adopt some or all of its principles towards green or integrated building design. LEED credits are awarded based on criteria in six categories of performance. A building project must meet a set of prerequisites to be registered, and it must achieve the minimum number of points to earn a basic ‘Certified’ level determines the level of LEED certification (from a Certified level through Silver and Gold to the Platinum level). The retail and foodservice industries are investing in environmentally-friendly construction, in accordance with LEED guidelines, to enhance occupant comfort and reduce environmental impact. LEED building design requires some added initial cost; however, research shows the investment becomes offset over time by a reduction in energy usage and other related expenses. Why the interest in LEED? Concern for the environment and sustainable development is growing, and LEED is a way that businesses can prove they are good corporate citizens. LEED promotes a whole building approach to sustainability through the principles of green building and integrated building design. There is a conscious effort to systematically integrate the design of building systems, such as HVAC, refrigeration, lighting, water management, and other mechanical systems with the building design itself, so as to achieve higher levels of performance. It seems natural that a building owner who invests in energy improvement projects would want to know if those investments actually pay off. But of the more than 5,000 LEED-certified projects involving new construction, only 1 out of 5 earned the Energy & Atmosphere credit for Measurement & Verification! Measurement and verification (M&V) involves recording actual energy use and comparing that data with the estimated energy use seen in the design. LEED-certified buildings don’t always perform as well as expected. The M&V process can quickly pinpoint any systems that are not performing as specified or anomalies in equipment, operations procedures or user habits. The M&V plan can also help to reduce energy costs and makes commissioning easier. If a building has an energy management system which includes monitoring, the M&V plan should be structured around that hardware and software. For example, a supermarket or retail outlet typically relies on controllers for the major system including refrigeration, HVAC, and lighting. The E2 controller from Emerson is commonly found in retail and serves this function. 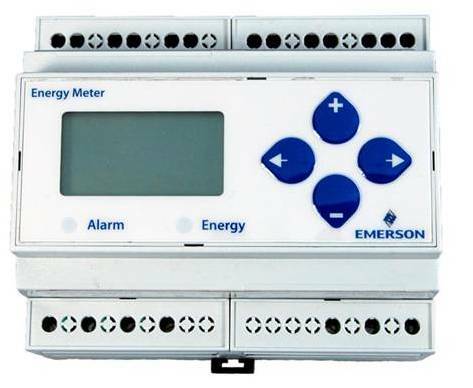 Emerson Climate Technologies offers an energy analysis package which ties together sensors, Energy Meter, and the E2 system controller. The Energy Meter connects to the E2 controller via Modbus and in addition to kW/kWh readings can also determine metrics related to power quality to minimize energy costs. The LEED credit is earned for the plan – not for the implementation of the plan, which can be done at a later date. But just having a well thought out plan demonstrates the commitment of the LEED team to real ongoing energy savings for the building operator. Many utilities offer incentives and rebates for submetering and energy management programs. If additional electrical submeters are required, these need not be permanent installations. Spot-metering and utility analysis can all be part of the M&V plan. 12 months of data is ideal and will allow the building operator to make any necessary adjustments. By utilizing Facility Management from Emerson Climate Technologies Retail Solutions, retailers have everything they need to control and monitor critical equipment and enhance the quality of the products sold to customers. The E2 controller is the brain of the system, which talks to the facility management system panel relay boards that switch equipment on or off and receive information from sensors throughout the store. Not only can the Emerson system be used to satisfy M&V for LEED points, but once the energy meter is connected to the E2 it can also serve as a demand management system helping customers manage the peak “demand” part of their utility bill automatically. No other hardware or software is required.